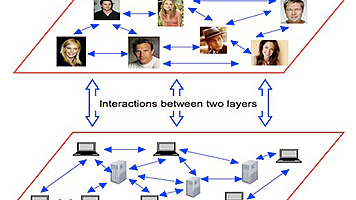 My research spans a variety of areas including, statistical pattern recognition, machine learning; applied probability, nonparametric statistics; information theory, communications; wireless networks, sensor networks; signal, image, and video processing; adaptive systems, hybrid systems, control and econometrics and finance. M. Ozay, I. Esnaola, F.T. Yarman-Vural, S.R. Kulkarni, H.V. Poor, “Machine Learning Methods for Attack Detection in the Smart Grid,” IEEE Transactions on Neural Networks and Learning Systems, Vol. 27, No. 8, pp. 1773-1786, 2016. G. Harman, S.R. Kulkarni, H. Narayanan “sin(ωx) Can Approximate Almost Every Finite Set of Samples,” Constructive Approximation, Vol. 42, pp. 303-311, June, 2015. S. Shang, P. Cuff, P. Hui, S.R. Kulkarni “An Upper Bound on the Convergence Time for Quantized Consensus of Arbitrary Static Graphs,” IEEE Transactions on Automatic Control, Vol. 60, No. 4, pp. 1127-1132, April, 2015. A. Lozano, S.R. Kulkarni, R.E. Schapire, “Convergence and Consistency of Regularized Boosting With Weakly Dependent Observations,” IEEE Transactions on Information Theory, Vol. 60, No. 1, pp. 651-660, January 2014. J. Lunden, S.R. Kulkarni, V. Koivunen, H.V. Poor, “Multiagent reinforcement learning based spectrum sensing policies for cognitive radio networks,” IEEE Journal of Selected Topics in Signal Processing, Vol. 7, No. 5, pp. 858-868, October 2013. H. Zheng, S.R. 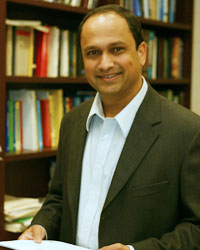 Kulkarni, H.V. Poor, “A sequential predictor retraining algorithm and its appli- cation to market prediction,” Annals of Operations Research, Vol. 208, No. 1, pp. 209-225, 2013. M. Ozay, I. Esnaola, F.T. Yarman-Vural, S.R. Kulkarni, H.V. Poor, “Sparse Attack Construction and State Estimation in the Smart Grid: Centralized and Distributed Models,” IEEE Journal on Selected Areas in Communications - Special Series on Smart Grid Communications, Vol.31, No.7, pp. 1306-1318, July 2013. M.K. Miller, G. Wang, S.R. Kulkarni, H.V. Poor, and D. Osherson, “Citizen Forecasts of the 2008 U.S. Presidential Election,” Politics & Policy, Vol. 40, No. 6, pp. 1019-1052, 2012. A. Jain, D. Gunduz, S.R. Kulkarni, H.V. Poor, S. Verdú, "Energy-Distortion Tradeoffs in Gaussian Joint Source-Channel Coding Problems," IEEE Transactions on Information Theory, Vol. 58, No. 5, pp. 3153-3168, May 2012. D. Shutin, C. Zechner, S.R. Kulkarni, H.V. Poor, “Regularized Variational Bayesian Learning of Echo State Networks with Delay & Sum Readout,” Neural Computation, Vol. 24, No. 4, pp. 967-995, April 2012.